The largest young adult credit union network in the world. The Cooperative Trust invites the next generation of leaders to experience industry events and partake in professional development opportunities, ensuring credit unions are engaging their staff to win the war for talent. 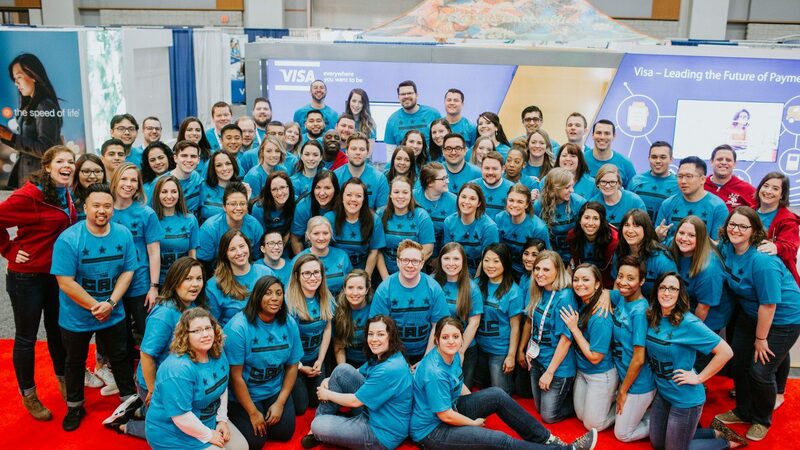 With collaboration at the heart of the credit union system, the Trust gives young credit union professionals the opportunity to connect with likeminded peers across the industry and globe. Young people are our future - without them, no credit union can survive long term. That's why we're here: to make sure young professionals in the credit union space have all the tools and resources they need to succeed — ensuring the success of the industry at the same time. Crash the GAC 2018 had the largest number of crashers yet! Looking for a career-changing opportunity? Credit union young professionals can apply to be a Crasher at any of the conferences we're Crashing. Apply here. This prestigious award recognizes credit union leaders whose achievements fulfill the mission of promoting financial freedom for millions of people around the world. Join the next generation of leaders who share a passion for the future of credit unions and connect to 1,600 credit union young professionals today! The Crash program is designed to empower credit union young professionals to develop professionally and to bring their voices to advocate for the role of young people in our industry. We're here to make sure young professionals in the credit union space have all the tools and resources they need to succeed — ensuring the success of the industry at the same time.